On my SE5a I've got a Lucas LRS 130 and I'll want to clean it and change the brush. QRG doesn't have the brush and I didn't find them on the web. Can you tell me if any of you know a seller who can sell a brush kit for my starter? The main components are common to a number of units - known as the "M100" range (they change the housing and pinion to suit the individual application). 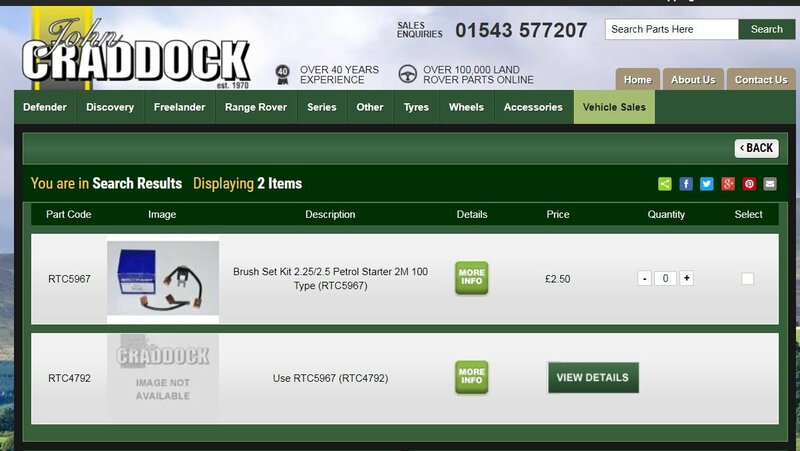 2 minutes googling found these: https://www.ebay.co.uk/itm/LUCAS-M100-I ... 2004599707 - if you want to look in France, then RTC4792 is the Landrover part number. John Craddock proposes to use RTC5967 instead of RTC4792 : 2.5£ !! !